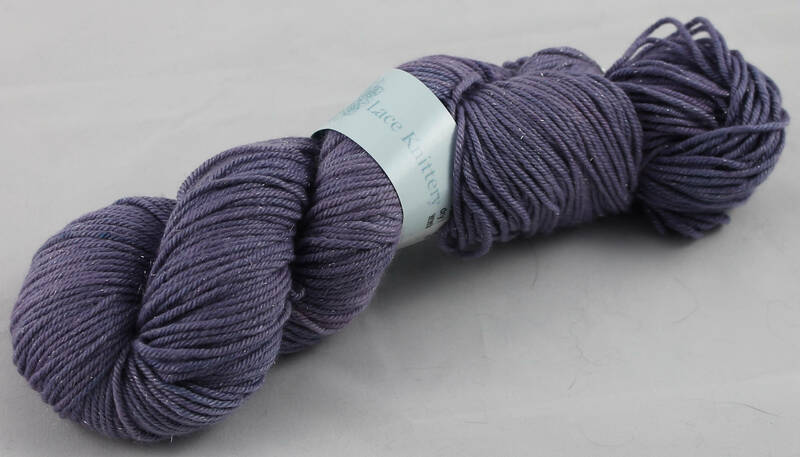 This yarn is one of my favourites and is very versatile. 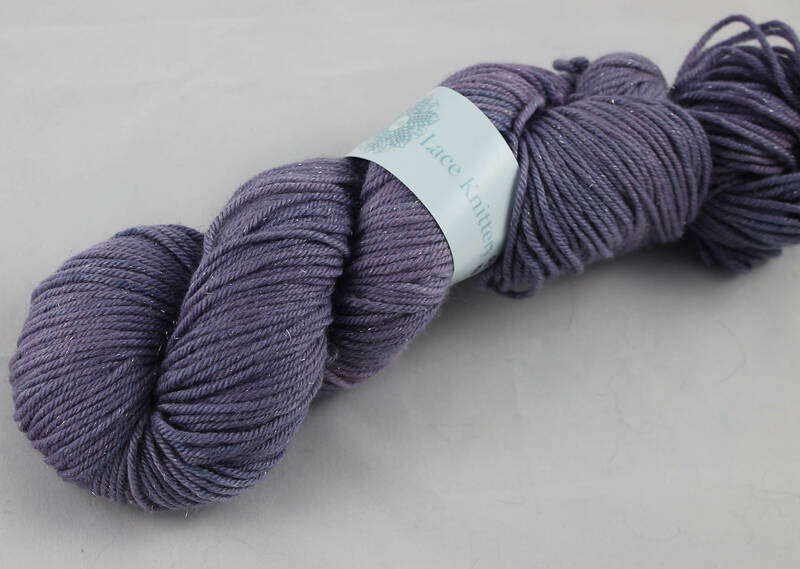 I hand painted this skein by space dying in a rich purple colour. The space dyeing technique I have developed produces a very subtle range of hues with no harsh breaks of colour. It has been dyed with professional colours using an acid dye technique. 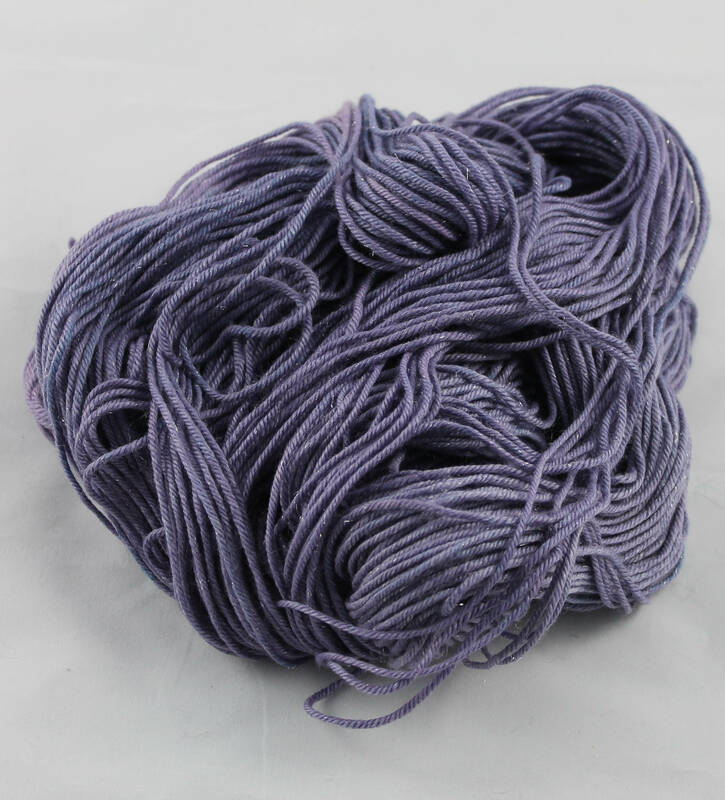 The skein is DK weight and is 100g/212m. There is enough yarn in the skein to complete a scarf or hat and mitts and can the silver makes it a great edging or contrast yarn to any project. 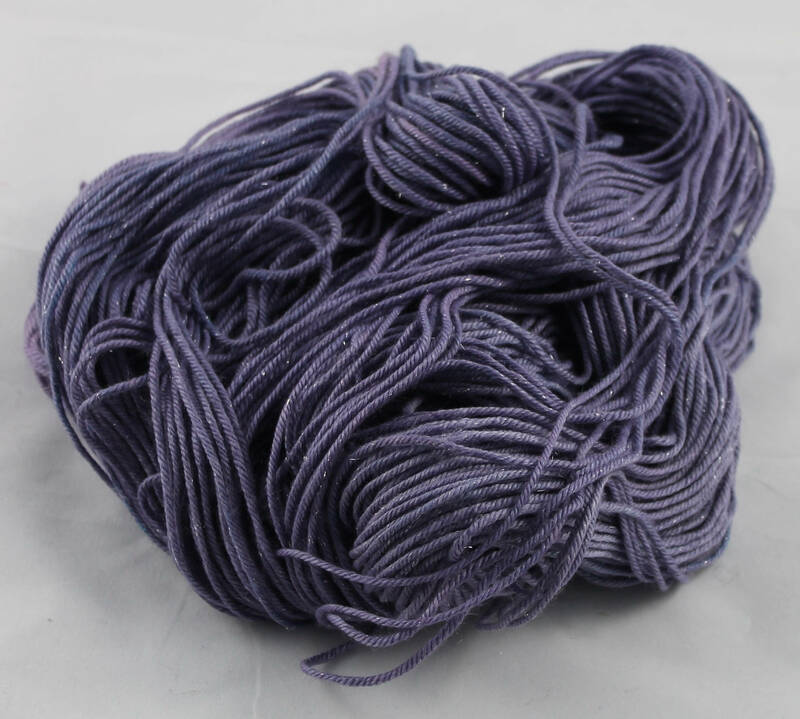 75% extra fine merino, 20% silk, 5% silver stellina sparkle. If you would like this yarn in another colour or a different yarn in this colour way please send me a convo...I love custom orders. Once I have printed your address label and attached it to your parcel The Lace Knittery neither keeps your details or maintains a database of them. We would never send unsolicited emails or communications.